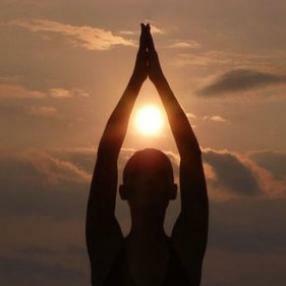 Saturday morning yoga begins with a pranayama practice preparing your mind and body for your asanas. The style is a combination of traditional Hatha yoga, Vinyasa, Astanga, and pilates. Every class is completed in Savasana , leaving your energized and rejuvenated. This Vinyasa style class offers a steady flow of yoga postures linked by breath in fluid movement aimed to awaken, strengthen, & open your body, mind, & spirit. This is an invigorating class to get our heart beating with some cardiovascular conditioning. What a way to greet your day! Students should be familiar with basic yoga poses before attending any flow class. Room temperature 80 degrees. Find your TRIBE in business and wellness. Join our mini-wellness retreat as we harness the benefits of yoga to BREATHE MOVE MEDITATE. Save your spot at Eventbrite(dot)com. Asanas, color, essential oils (and more) to strengthen and cleanse the chakras. Each class will focus on one or more of the chakras and all levels are welcome. All level flow at Audacity brew house. This vinyasa class is an inward-moving and calming practice, flowing slowly and mindfully, maintaining a smooth deep diaphragmatic breath, then entering yin stretches before we end with a guided Final Relaxation using Aromatherapy to sooth the senses. Hatha is a Sanskrit word which translates to "ha" meaning sun and "tha" meaning moon, similar to the balance of yin and yang. Yoga aims to balance these two powers of opposition. So the vibe of this Energizing Flow class is associated more Moon/Lunar energy, water element, 2nd Chakra (svadhisthana), Fall/Winter, left side of body, Yin (feminine) energy which is stabilizing, grounding, contemplative, reflective, calming, cooling & relaxing. This yoga class is all about flowing from one pose to the next without stopping to talk about the finer points of each pose. Students come away with a good workout as well as a yoga experience. If you’re just starting, it is a good idea to take a few classes in a slower style of yoga first to get a feel for the poses. This class is designed as an introduction to the practice of yoga. It explores the breathing techniques and is focused on developing correct and safe alignment in foundational poses. This class uses a combination of movement, postures and breath to work on strength, flexibility and balance. Come to learn and play in a supportive environment. An all levels class with focus on alignment, beginners will safely learn the basics while more experienced students can take postures to a deeper level. Cardio, strengthening and stretching, with modifications to make it accessible to everyone! Grab a 3 Day Guest Pass to try it out, as well as the rest of the 24 HR Fitness Facility! Turn stress into sweat. This signature class strengthens, balances and detoxifies your entire body and mind as you move through more challenging postures and connected breath. Set to an energizing playlist, you’ll power up your practice like never before. 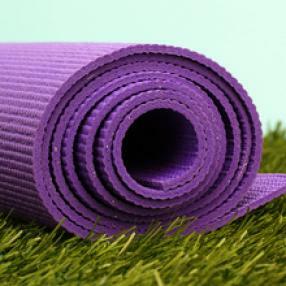 Join us for some Power Flow Yoga outdoors!